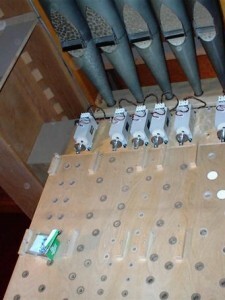 The console was completely rebuilt. 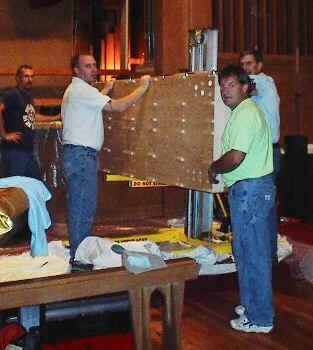 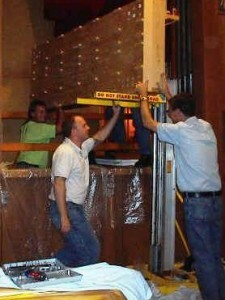 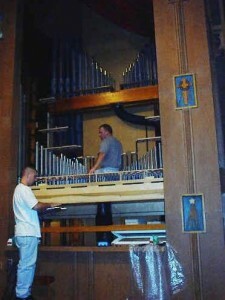 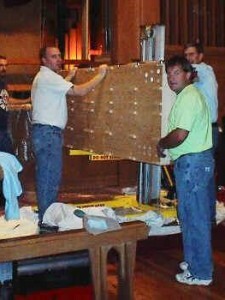 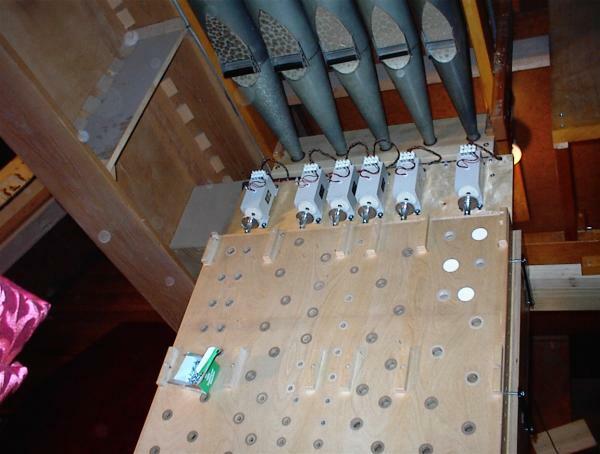 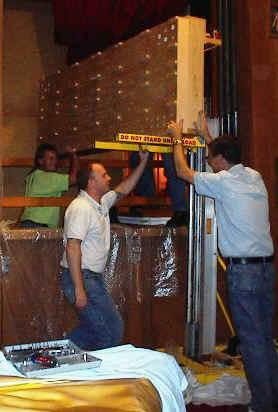 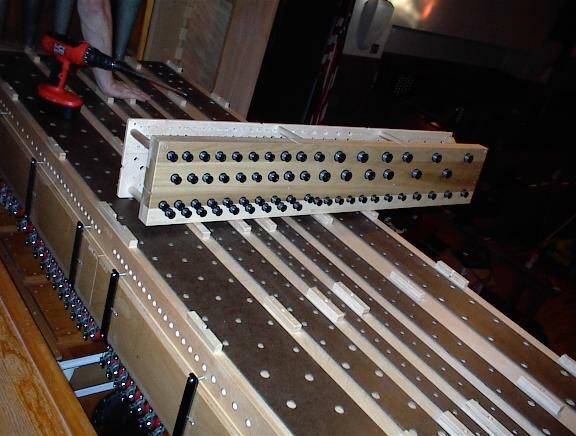 A new solid state relay was installed, as well as all new wiring throughout the organ. 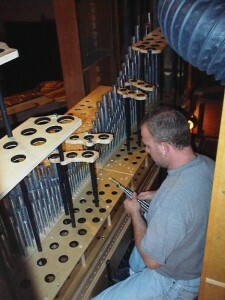 All reservoirs, winkers, and tremolos were restored. 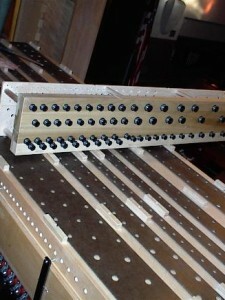 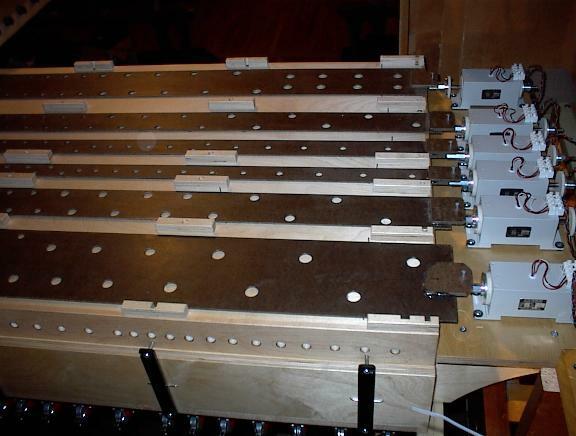 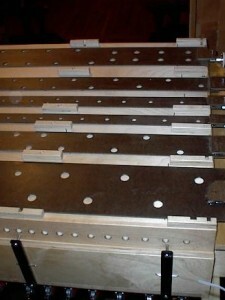 The exposed Great division was replanted on a new electric action slider chest. 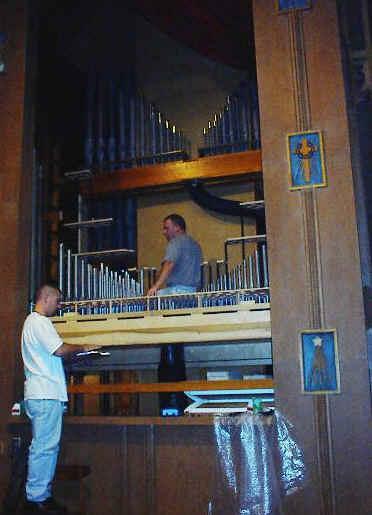 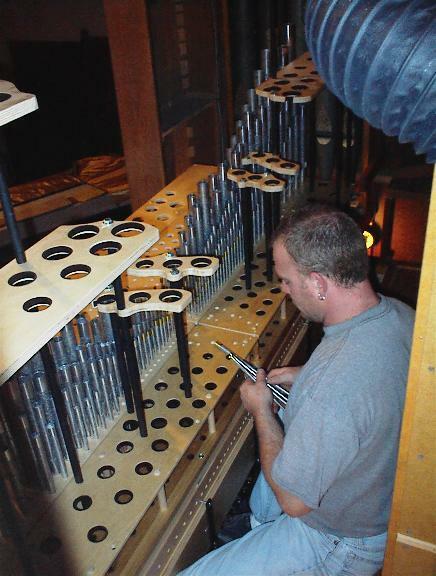 A new 8′ Trumpet was built and installed for the Great division.